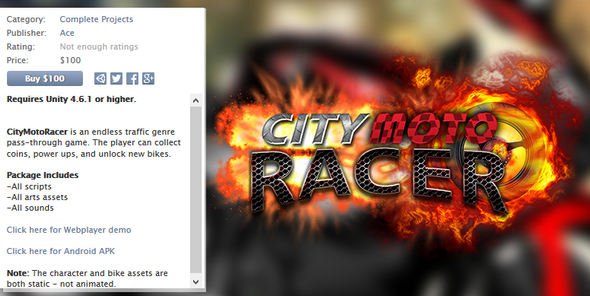 CityMotoRacer is an endless traffic genre pass-through game. The player can collect coins, power ups, and unlock new bikes. Hidden Object Game is a full Unity template ready for release. It is compatible with mobile as well as standalone and webplayer. Ever wanted to create your own TDS Zombie survival game? Have you ever wanted to create something like "Survive wave of zombies’ game"? Something like a “Defend Survival”? Or just any “Survival Zombie game”? Then try this out! Jump Rocket Project is a complete game that features a procedural gameplay based on physics. Your objective is to drive a rocket to space by pushing it to the right direction and avoid obstacles.